Nusa Dua Traveling. Nusa Dua Bali is a prime place for you to relax and unwind under the tropical Sun. A peaceful and calm situation for your vacation in Bali is truly fulfilled here. Nusa Dua is located on the southeasternmost island about 15 km from Internasional Airport Bali and about 40 km from Denpasar. Offer to you elegant resorts supported by crystal clear sea water and white sand beaches that complement various tourist attractions. Hotels, restaurants, bars, shops, here are usually high class and have prices that reflect status. The beach is beautiful with blue sea, the breeze is cool, the water is clear and calm, the sand is whiter, and the scenery is very charming. 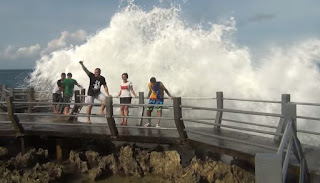 Because it is located at the end of Bali, this beach is less visitors when compared to other beaches in Bali. This kind of thing makes Nusa Dua Beach feel more private and exclusive. 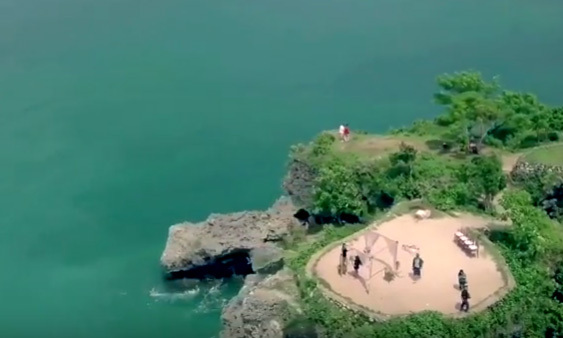 Nusa Dua has a white sandy beach, generally taken by tourists who really want to enjoy their vacation, resting in hotels, resorts or starred cottages that spread over the coast of Tanjung Benoa to Nusa Dua. During the road you can enjoy a beautiful garden. It is ideal for relaxing together with the family, to walk, run, or ride a bicycle. The combination is suitable for shady trees and white sea sand, small waves, and birds singing to jumping squirrels. You can relax while lying under shady trees, then swim or play sand and sea water occasionally. During this beach, you can see 2 panoramas that are very beautiful. One aspect is the panoramic view of the coast and the sea line which is very beautiful, one moment in another that is the panorama of magnificent hotels lined up along the coast. 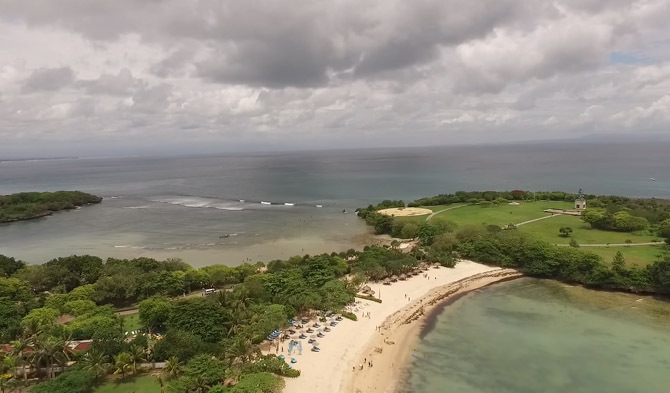 Nusa Dua Beach for approximately 5 km is the backyard of world class hotels such as Melia Bali Villas Spa Resort, Inna Putri Bali, Novotel Nusa Dua, etc. During the beach, the manager has built a type of small road for pedestrians to pass through and makes it easy to go along the beach. At Mengiat Beach, the longest beach in Nusa Dua stretches almost 1 km. from Hyatt hotel to Geger Temple at the northwest end. There is also a water blow or water spray that takes place when the waves hit a rock tunnel to blow up water to make an umbrella. This is the most interesting attraction when using water. You can adventure around this beach by riding a camel along the beautiful sands of Nusa Dua Beach Bali with the beauty of white sand, waves, and gentle gusts of Nusa Dua Beach.